Uncompromising African-American comedian, actor, and writer known for his cutting-edge and often controversial stand-up material. He also starred in See No Evil, Hear No Evil; The Toy; and Brewster's Millions. 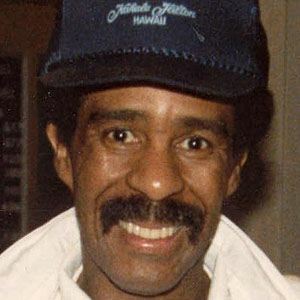 His body of recorded work includes the comedy albums Richard Pryor: Live & Smokin' and ...Is It Something I Said? After being expelled from school at age fourteen, he performed as a drummer in night clubs. He played a role alongside Gene Wilder in Silver Streak. His mother abandoned him at age ten and he was forced to live with his abusive grandmother in a brothel. He married five times and had a total of seven kids. Jerry Seinfeld once called him the Picasso of the comedy profession.